So those who read a review I wrote last night saw me say there is something special about starting a book placed in a new setting by a favorite author, and I wasn’t kidding. There is also something special about going back to a world and characters that intrigued me from the very beginning after a long wait. While starting the story is full of excitement, there is also a touch of fear as the reader because I am hoping my memory about the previous installment is accurate and the author is able to meet those expectations. I am very happy to say Dane met and exceeded my memory with Blade to the Keep and as a result I am squeezing in a reread of Goddess with a Blade. This installment builds directly on the first one therefore I recommend that you read it first as I will be unable to avoid some spoilers from Goddess with a Blade. In the first installment, I was introduced to some of the intricacies of Vampire politics and caught a glimpse of what forged Rowan. In this installment I saw what polished Rowan and watched her navigate the political waters of both environments using a mixture of subtle and direct actions depending on the situation. Yet for all of her political acumen it was wonderful to see her relax back into some of the comforts of her childhood. I was touched by the welcome she received back at her home despite the circumstances under which she left and how she worked through some of her lingering emotional residue with The First. Negotiating the Treaty between the Vampire Nation and the Hunter Corporation was complicated enough but add in Rowan’s history with The First and his obvious favor, her romantic association with one of his Scions, and factions on both sides working against the Treaty, Rowan had her work cut out for her. I loved the delicate dance executed by both The First and Clive as they supported Rowan but also remained loyal to their people and the rules that bound them. They each provided some information but never undermined her power or position while maintaining their respective positions of power. Rowan also enforced her power and position while maintaining awareness of and respect towards the vampire hierarchy. As a result, her actions never put The First or Clive in danger of losing prestige nor did she have to worry about them deliberately setting her up for failure. I thought the way their entanglement was executed throughout the story really said volumes about the trust between all three parties. Of course watching The First play protective father towards Clive was quite a treat. Not only was the interaction between the main characters fascinating but the glimpses of paranormal history and the intricate details of life with vampires was fascinating. Violence occurred as a fact of life on both sides and so did cutthroat politics. 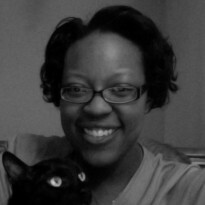 But I also saw kindness, love, caring, loyalty, and dedication from a variety of different sources. I could also see that vampires do start-off young and foolish in the early ages of their immortality and sometimes regret their actions in their later years. It was also interesting to see how friendships and alliances shifted into enmity over the passage of time and how others had to carefully make their way through the changing relationships. One of the other nicely highlighted themes was the gulf between those who sit behind a desk giving orders without ever facing what those orders mean and those who have to live with the consequences of those orders. 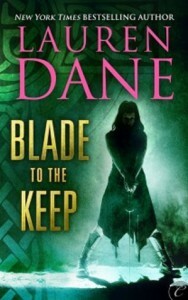 In Blade to the Keep, Dane combined a variety of different themes, strong characters, vivid world, and high stakes to keep me enthralled. I loved the progression of Rowan’s relationships with those who were important in her life and how she dealt with those who were impeding her progress. The character growth and increased intrigue not to mention the increase of Rowan’s importance as the link between the Vampire Nation and the Hunter Corporation have only raised the stakes. I am super excited that one of Dane’s many releases next year will be the third installment in this series because it has become one of my favorite UF series. I give Blade to the Keep an A.